This article may contain outdated information that is inaccurate for the current version of the game. It was last updated for For the Motherland. Please help improve this article or section by expanding it. 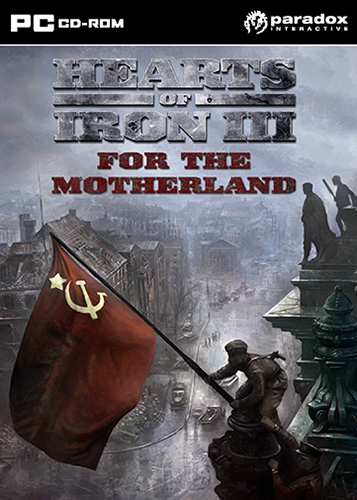 Hearts of Iron III: For the Motherland Box Art. 3.1 How to reduce neutrality? 3.2 How to remove the fractured govt. modifier? War goals: Each member of a faction can demand their own territory and claim it when the war is over. Misc: Improved zooming, overall game speed, new events and decisions, modding support, improved static AA, supply system fixes. Lower right corner of counter shows yellow for disorganized and red for out of supply (or fuel). You can scroll the map by holding down the middle mousebutton. You can set continuous orders to start at a later date, instead of just immediately. Mouseover your flag (upper left corner) to see all modifiers. Shift-F is new hotkey for Find Province. You can set the victory conditions for all three factions at the start of a game. There is a new setting available that will be useful sometimes. if you change debug_saves in settings.txt to a number (1 for every month. 0 means off) it will automatically create saves that don't get overwritten by newer ones like regular autosaves. useful if you want a record of a long game, although it uses quite a lot of disk space with all those saves so mostly useful for AAR writers and modders. Increase threat on bordering countries. Appoint ministers that reduce neutrality. How to remove the fractured govt. modifier? It's due to parties wanting cabinet seats. Check the popularity graph on the politics screen ( the tooltip will note how many cabinet positions are desired by each party) and assign ministers as needed. FTM - Did you know this? This page was last edited on 21 March 2017, at 16:31.